Pesto is a classic Italian condiment that goes great with anything from pasta to meat to fish. 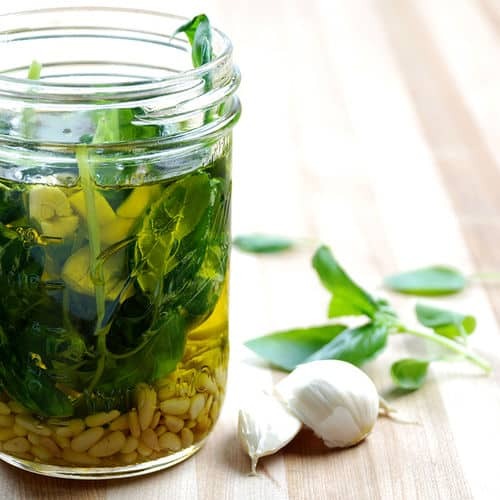 In this recipe I infuse olive oil with the flavors of pesto. The flavorful oil can then be drizzled on various dishes to help finish them off. This process works well for many different types of oil and nut-based sauces. If you would like more information about the modernist techniques, ingredients, and equipment used in the pesto infused oil recipe you can check out the following. Preheat the oven to 250°F (121°C). 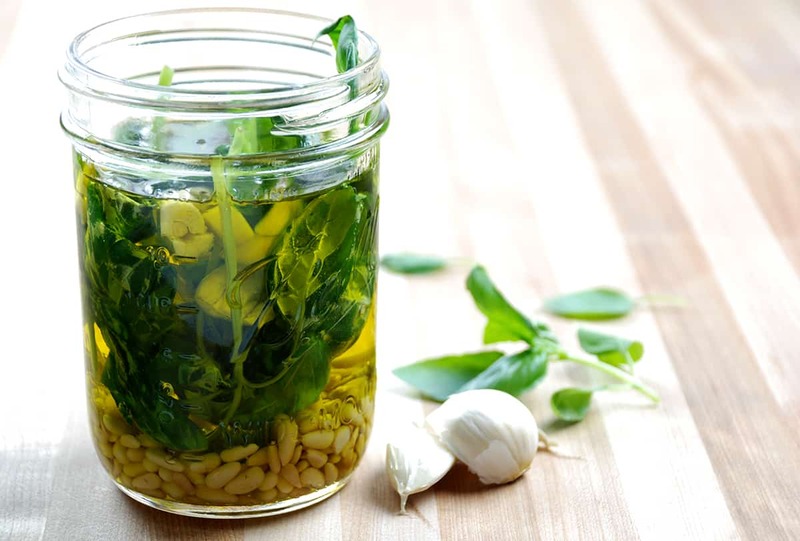 Combine the olive oil, basil, pine nuts, and garlic in a pot or pan. Place in the oven for 30 to 60 minutes, stirring occasionally, until the oil is fragrant and takes on the flavor of the pesto. Strain the olive oil to remove the solids. Store in the refrigerator for up to several weeks.